Like the rest of the girls in the group, 15-year-old Non was chosen for the camp after coming through a tough selection process. But her track record speaks for itself. 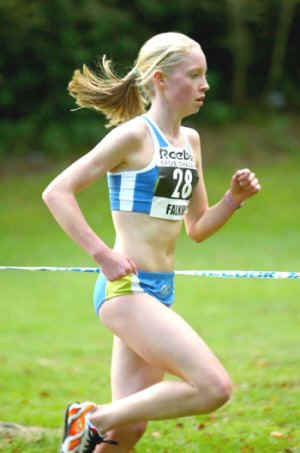 In fact, Non crowned her season by winning the junior 3000m race at the Norwich Union London Grand Prix in style, clocking a personal best time of 9:22:84. The Welsh teenager also enjoyed success in cross country, taking the Reebok Inter Counties title as well as winning the Four Nations Schools Cross Country international by the biggest margin in any age group. And all-rounder Non hit the road too, beating off competition from girls up to four years older than her to win the Adidas London Mini Marathon Under-19 race. No wonder Kelly was impressed! Now Non's ambition is to represent Great Britain in the Junior World Championships next year - on the track and in cross country. And of course she's already setting her sights on the 2010 Commonwealth Games. "I cannot wait. It is the chance of a lifetime. We are going out with the double Olympic champion and a person who is so down to earth. I want to learn so much."